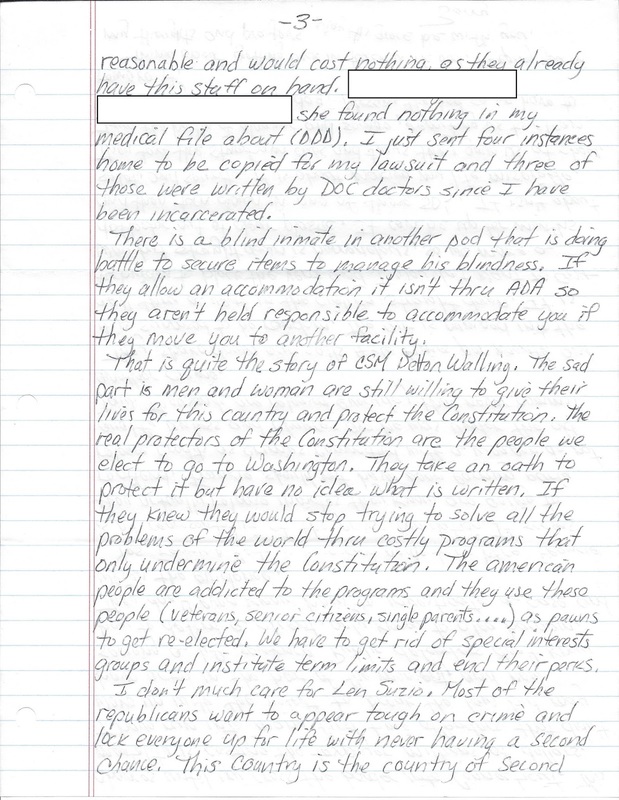 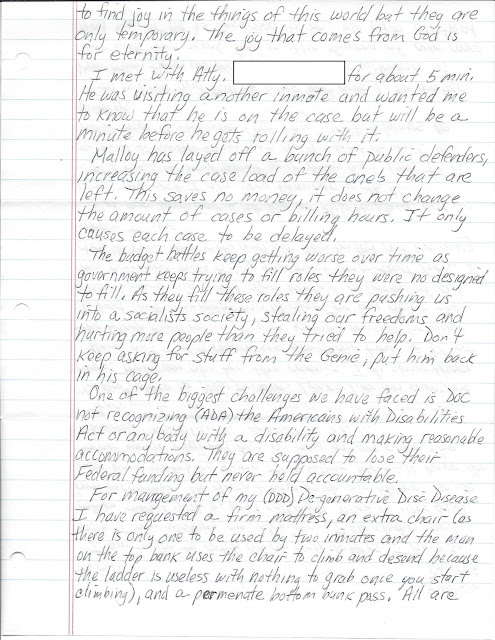 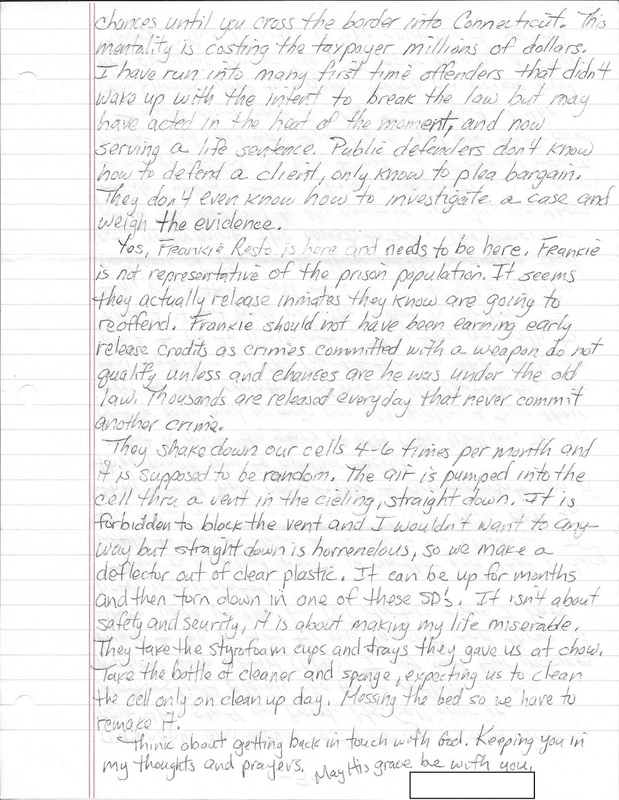 This is the fifty ninth in a series of letters written to and from someone currently in the custody of the Connecticut Department of Correction. Three times per week, Mon., Wed., and Friday, one letter will be published until we catch up to the present day, at which time letters will be published as they are received. 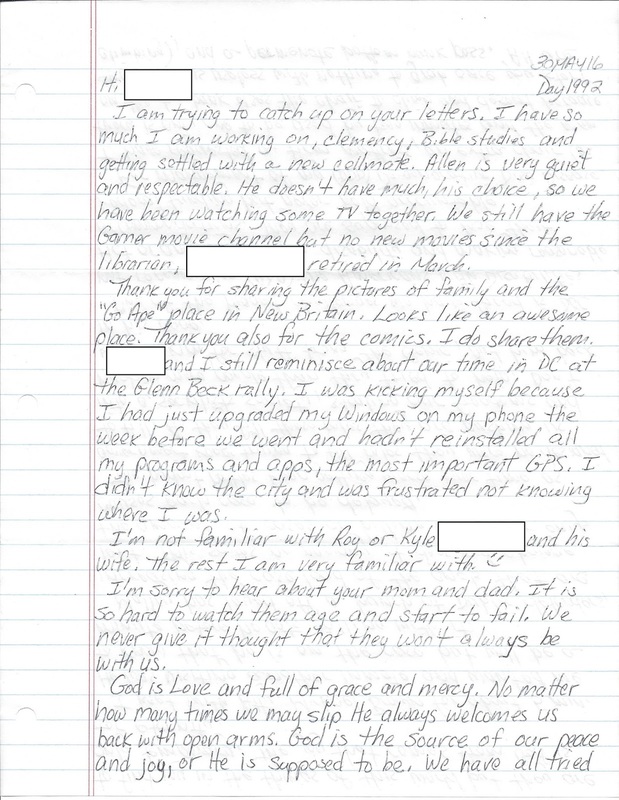 In this issue, our correspondent talks about faith and God's love, his degenerative disc disorder and a blind inmate, the ADA, shake downs, a dislike for Len Suzio, a rally in DC, state budget cuts and incompetent public defenders, CSM Delton Walling who had his finger cut off so he could join the navy, and more.